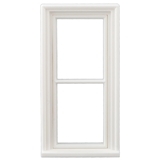 This high-quality injection moulded styrene window is extremely detailed and easy to paint with any craft paint! 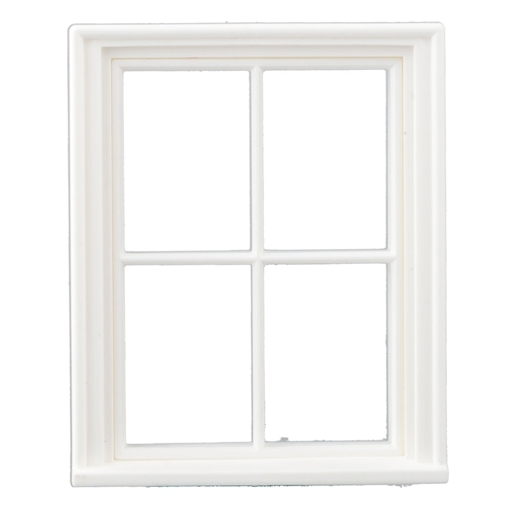 The window has a unique, three-piece design: frame, front glazing bars and rear glazing insert are all separate pieces, so they can be painted separately, making it easy for them to be different colors with no touch-ups required. The rear glazing insert is intended to secure a piece of your own acetate (like our #5099), or even real glass, if desired. 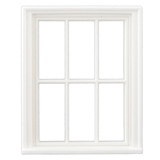 Perfect sized window for scale model building, very durable.